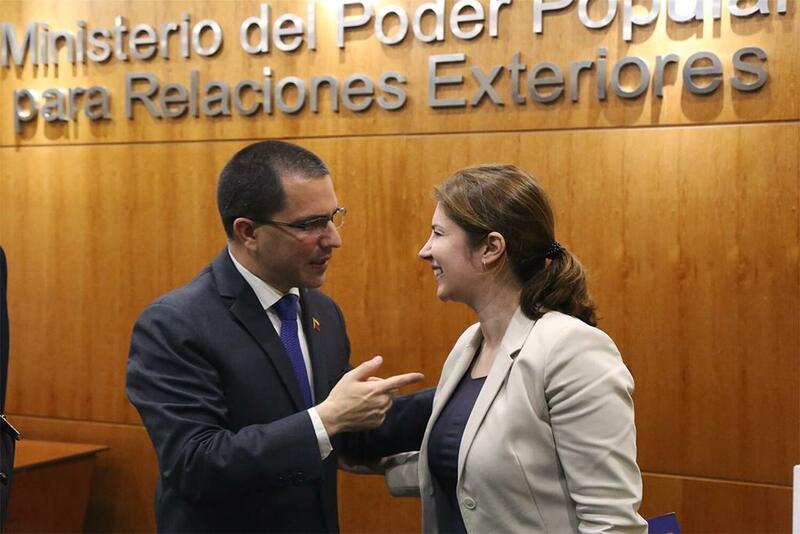 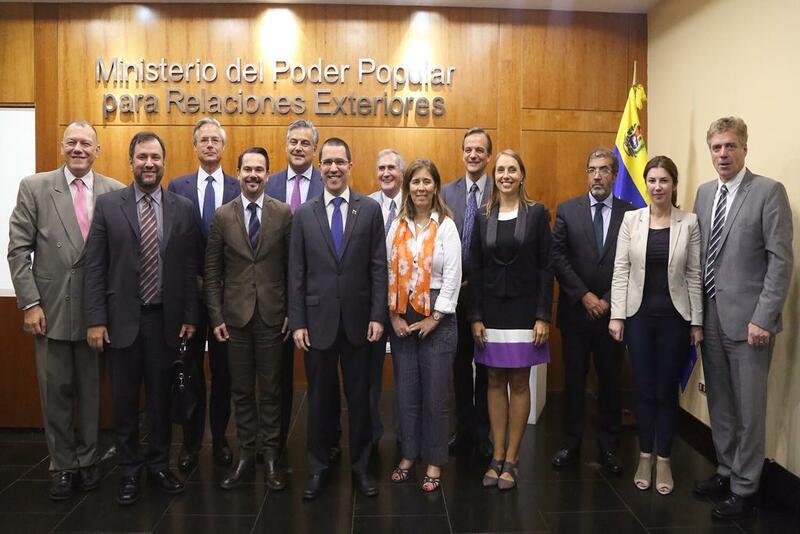 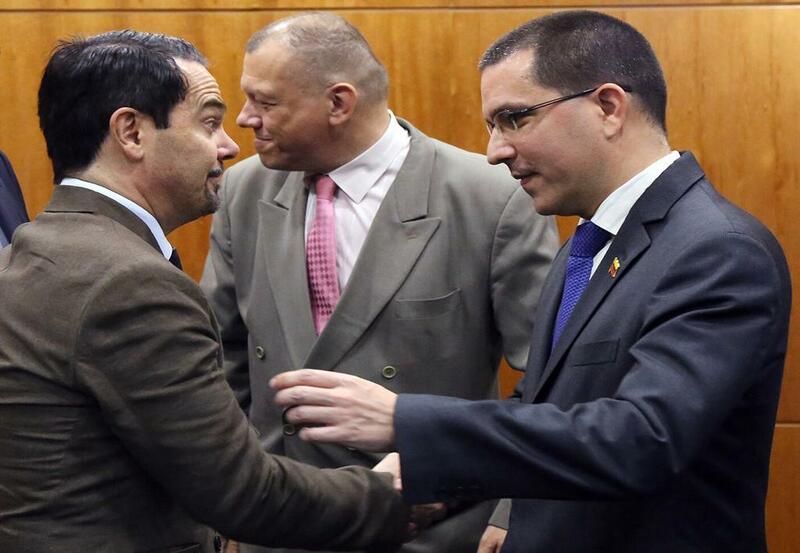 In order to strengthen the bonds of friendship and cooperation between the Bolivarian Republic of Venezuela and the member countries of the European Union, the People’s Power Minister for Foreign Relations, Jorge Arreaza, and diplomatic representatives belonging to this organization, held a joint meeting on Thursday to strengthen relations within the framework of mutual respect. 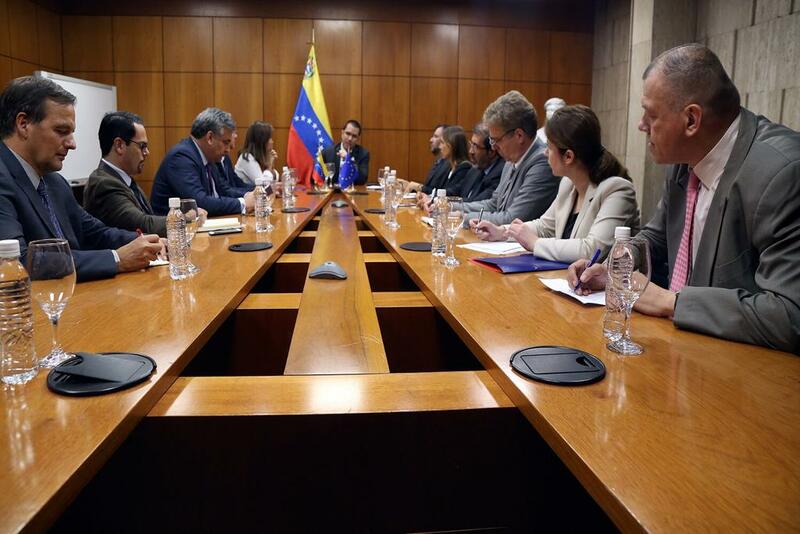 The high-level meeting was held in the office of FM Arreaza, in the ministerial tower, where the diplomats evaluated the bilateral agenda between the agency and Venezuela, as well as ratified the will of their governments to continue strengthening ties of cooperation. 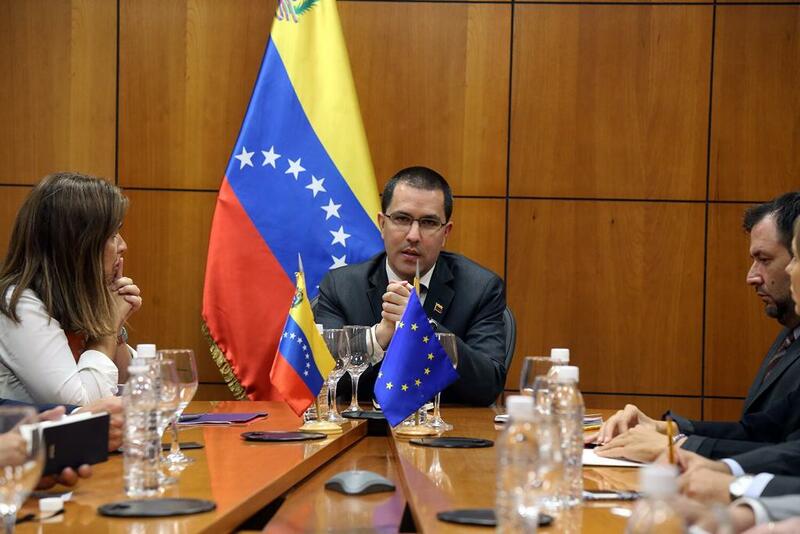 Recently, Arreaza held a bilateral meeting with the Minister of Foreign Affairs of the European Union and Cooperation of the Kingdom of Spain, Josep Borrell, where both ministers committed themselves to continue working to improve relations between Spain and Venezuela through a common work agenda that prioritizes the interests of both peoples.